This weekend at 72 Noble Street (near the Greenpoint stop on the G), BKLYN DESIGNS is showcasing a wide range of work from Kings County’s craftsmen, architects, designers, and educators. The venue—the Brooklyn Expo Center—is a wide, open space that puts all the exhibitors in a single, easily navigated showroom floor. Visiting early this morning, highlights included the ability to take a virtual tour of the modular Pod Hotel, designed by Garrison Architects, that will soon be rising in Williamsburg. I also especially enjoyed a 3D printing station by Peru Meridian Studios and products from Think Fabricate, the sister studio of Brooklyn-based Doban Architecture. The atmosphere was convivial as dozens of Brooklyn designers, including a large contingent from Pratt, showed designs ranging from specially-cast concrete planters to mobile meeting rooms/lounges designed for offices and homes alike. Tickets are $15. Events this weekend include, on Saturday: “Adaptability and Scale in Green Architecture” (a recap of lessons learned from City Tech’s 2016 Solar Decathlon), “Kickstarter for Designers 101” (with Kickstarter outreach experts), and “Design Fabrication Methods in Interactive Architecture” (with AN’s own Matt Shaw, Wes Rozen of SITU Studio, Michale Szivos of SOFTlab, and Emily Abruzzo of Abruzzo Bodziak Architects). 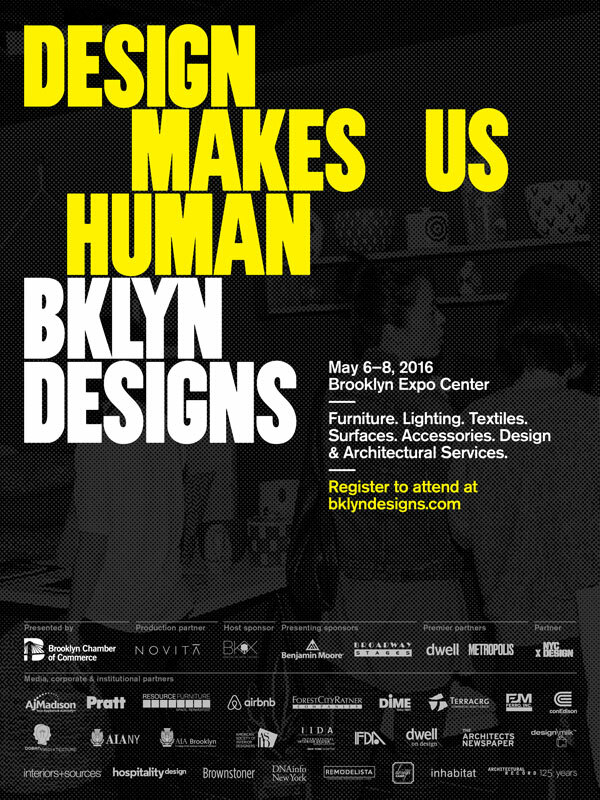 On Sunday, visitors can attend “The Right Sized Life: Designing Around What Matters” (featuring Resource Furniture’s founders and Jim Garrison of Garrison Architects), as well as “True Calling: Authentic Design for Hospitality” (which features a host of Brooklyn-based designers).